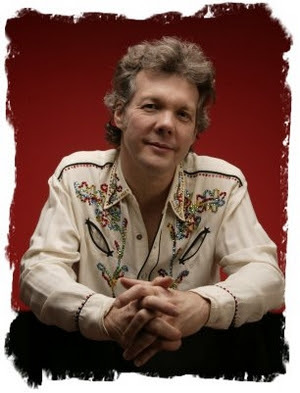 Steve Forbert is one of the most honest songwriters out there. Ever since he released his debut album, Alive On Arrival, in 1978, he has managed to release a series of albums that sound like no one else. 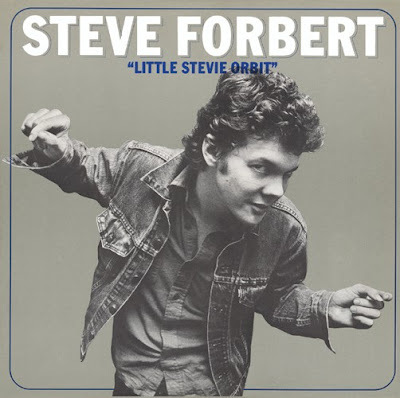 While he was briefly referred to as 'the new Dylan' some 35 years ago, with each album release, he is simply Steve Forbert, albeit dressed up in a different outfit every time. 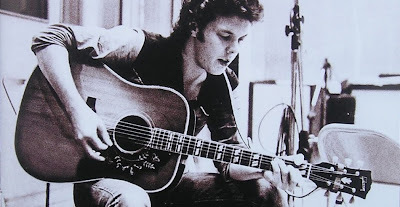 His songs come from the heart, although he manages to write with a unique perspective on each recording. Whether he is speaking from experience or writing from another person's point of view, he continues to hit the nail on the head each time. While his voice is a little more gruff these days, he still injects his songs with heart and soul. He still travels the Folk road that he began his journey on so many years ago, but he has no problem injecting Rock, Soul, Pop, Latin, Bluegrass and Zydeco into his songs. I was a New Wave/Punk/Power Pop/Synthpop loving kid when I first heard Steve Forbert and I immediately knew there was something special about him. Sure, I was loving all the quirky, high-energy and day-glo bands of the day, but Forbert was just as unique. The thing that attracted me to his music was the songs. And he sure had plenty of songs that still give me goosebumps today. While he continues to record and tour, his most commercially successful period was when he was signed to Nemperor/Sony in the late '70s and early '80s. Earlier this year, his first two albums -Alive On Arrival and Jackrabbit Slim- were reissued in a two CD set complete with some amazing bonus tracks. When I reviewed the release on this blog, I mentioned just how much I would love to see his third and fourth albums released on CD. (You can read that review HERE). The kind folks over at www.steveforbert.com informed me that those albums were, indeed, available on CD through their webstore. Not only that, they also issued his previously unreleased fifth album for the Columbia label in a deluxe 3CD package! Once I laid my money down on the table, I became the proud owner of the three releases I am now going to tell you about! 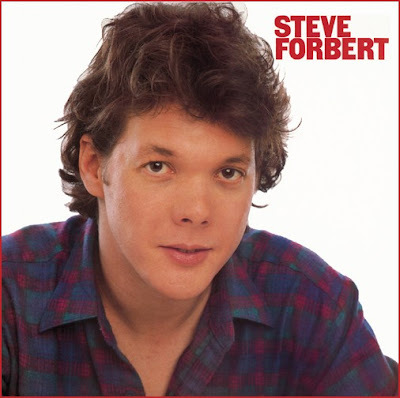 No matter who produced his records, Steve Forbert ended up sounding like Steve Forbert. Very early on, he managed to become a unique songwriter that stood out, no matter what type of production he was surrounded in. Since "Romeo's Tune" had been a decent sized hit on Pop radio, it seemed like Nemperor wanted to explore the poppier -even rockier - side of Forbert with his third release so they threw him in the studio with the great Pete Solley. Solley was just coming off the success of The Romantics' first album (also on Nemperor) and their hit "What I Like About You". While Solley's production may not have been as earthy as Forbert's music was accustomed to, Forbert stepped up to the plate with a fine selection of songs that still sound great today. OK, so the production is a bit condensed, but the songs are as meaningful as ever and the melodies are more direct and immediate. Well, lo and behold, Forbert did actually record the album but it was never released! After many years, Steve got the rights to release the album. 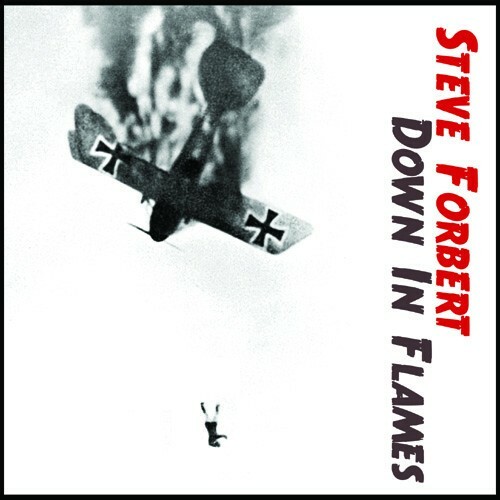 With some rejigging, Down In Flames is that very album and it shows yet another side to Forbert. Some of the tracks rock harder than his previous work, while others are Forbert at his most sincere. Listening to this set of songs makes you wonder why this album never saw the light of day. There's even a few Rockabilly tracks that Forbert seems to have a lot of fun with. To be honest, it's unfair to compare this to his other work because I've been listening to the first four albums for 30+ years and then reviewing this release after only a dozen listens doesn't seem right. What I will tell you is that this is a must-have for any Forbert fan! "Underwatertown", "What's So Hard About Being Alone" and "Lay Down Your Weary Tune Again" (later recorded for the album Mission Of The Crossroad Palms) are definite standouts. So, there you have it! Steve Forbert's first five albums are some of the finest Folk/Pop releases of the '70s, '80s and beyond. He's still out there, recording and touring so maybe it's time you start paying attention!